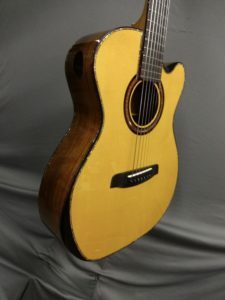 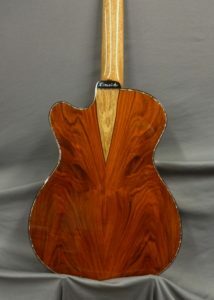 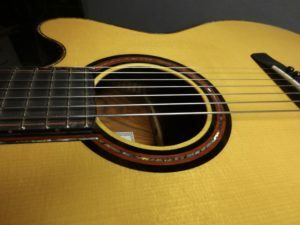 An OM sized steel string featuring a master grade Adirondack red spruce soundboard, highly figured cocobolo back, sides and peghead veneer, Honduran mahogany neck and ebony fretboard and bridge. 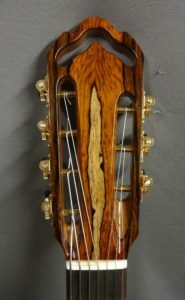 The bindings and purflings are ebony, bloodwood and abalone. 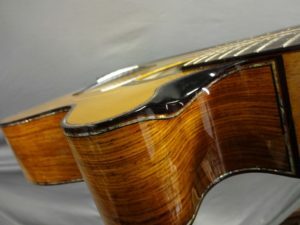 The armrest and cutaway bevels are faced with ebony. 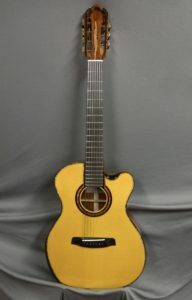 This guitar has a 25″ scale. 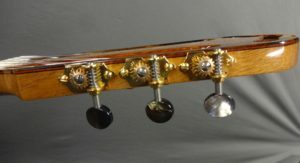 Waverly tuning machines with black mother of pearl buttons adorn the slotted peghead. 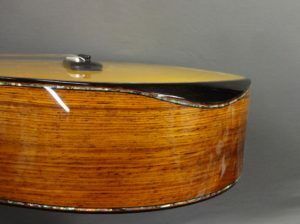 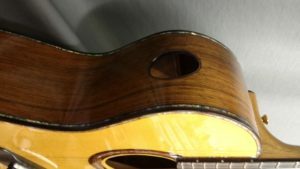 The guitar also has a player’s side port. 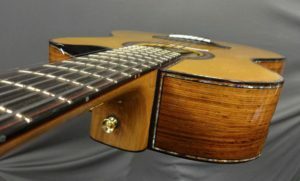 It is fitted with a K&K passive pickup.